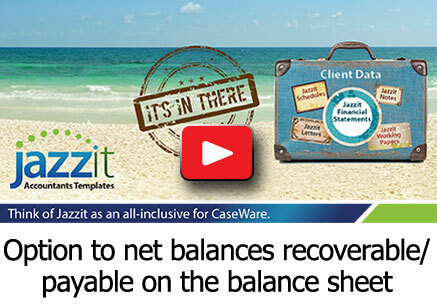 Certain balance sheet recoverable / payable items can be shown as netted or separate. This is helpful in fulfilling specific presentation requirements or preferences. An example is federal / provincial income tax. 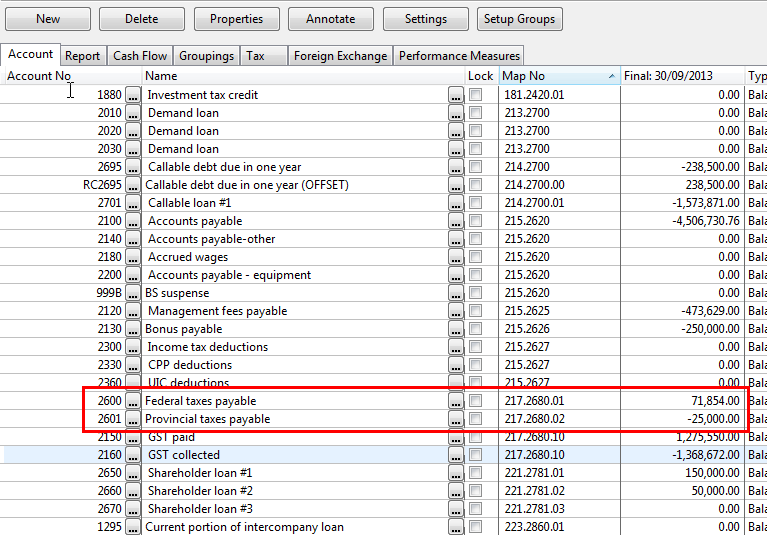 When one jurisdiction is in a debit position and the other is in a credit position, the balance sheet can show amounts either separately or netted. Note that long term balances cannot be netted against current balances. This is what the balances display when netted. To access this option, right-click on the map number of the affected line item. Please note that this option will not be available if the amount is linking from a note. This will be indicated by a “Note” in the dropdown. Delete or deactivate the related note to enable the option.